Matt Meineke and his wife are local vintners and restaurateurs in Northeast Ohio. They opened their winery, M Cellars, to the public in 2012 and started scheduling wine tastings, weddings and family gatherings. 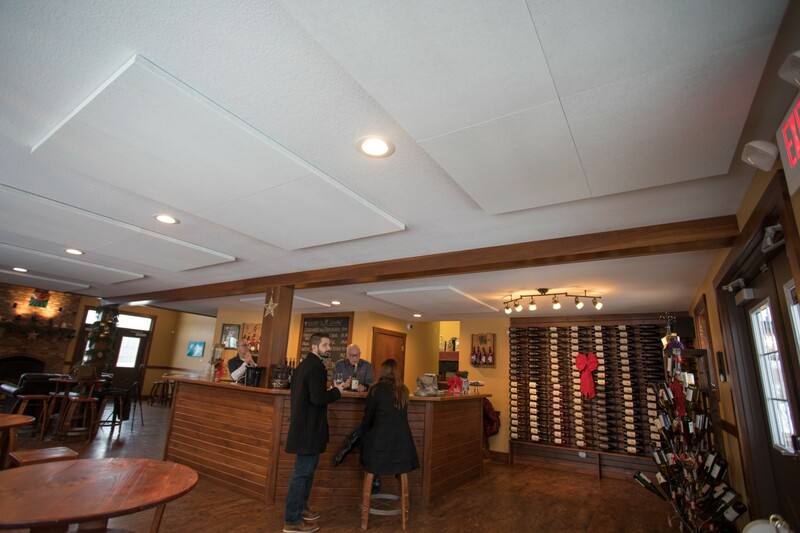 The winery has beautiful woodwork and exposed beams with bare walls and ceilings that allowed for a tremendous amount of noise. Matt reached out to Audimute when guests started to complain that they could not hear the descriptions of wines during their tastings. 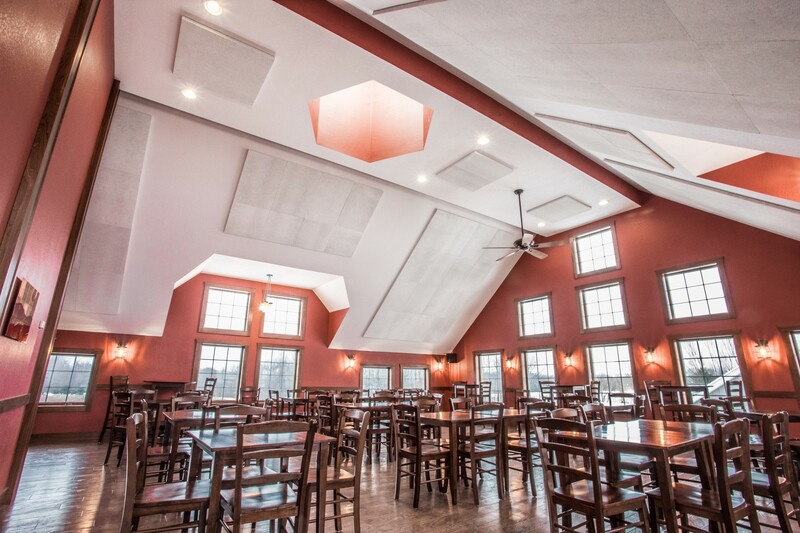 Matt had heard about our work from his friend, Mike, who had recently installed Acoustic Tiles at Lure Bistro in Willoughby, OH. Because M Cellars is a local company, we were able to do an on-site visit to the winery. 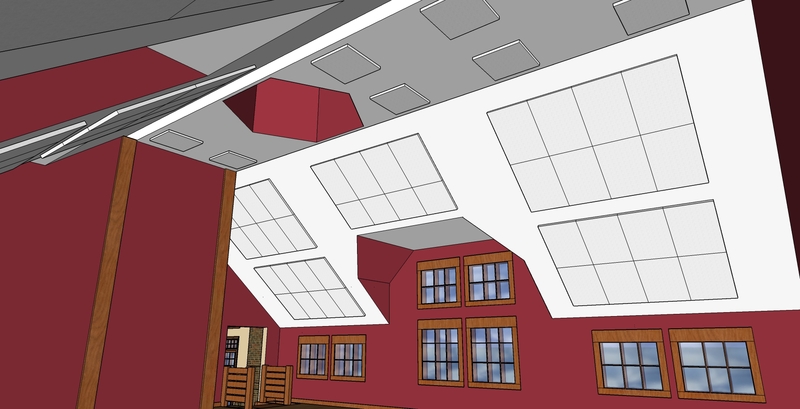 At the visit, it was evident that we needed to perform a custom design rendering that would showcase where we would balance the room’s acoustics using AcoustiColor® Tiles. 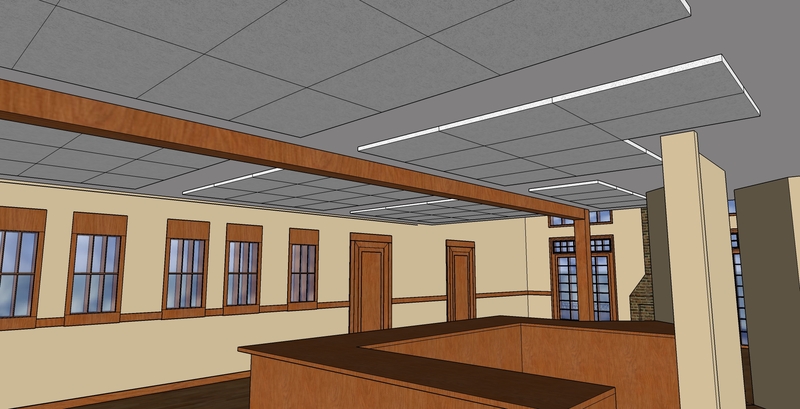 Our designer went to work and was able to layout where the tiles would be placed and how we could use our partnership with Sherwin-Williams to blend the tiles in with the ceilings. Matt was impressed with what he saw and placed an order for 139 2x2 Acoustic Tiles. 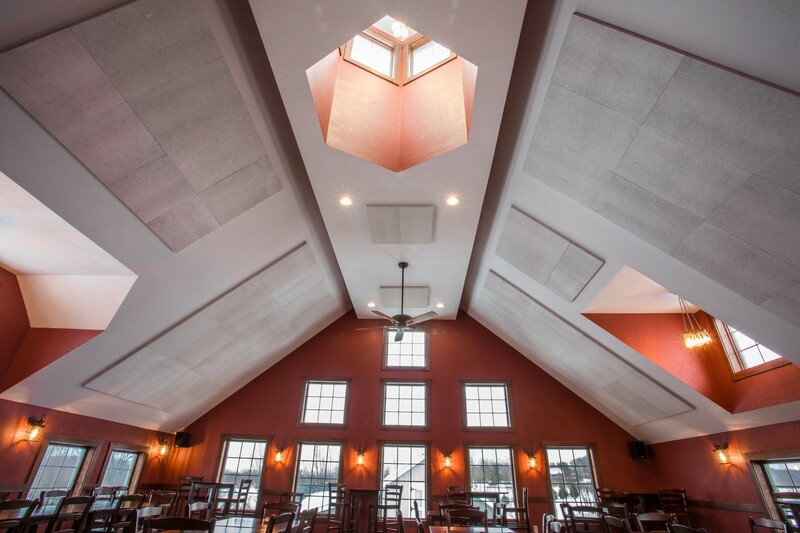 Audimute was able to create a remarkable sound experience for M Cellars by ensuring that any Audimute solution would guarantee guests and employees the extraordinary acoustic impact inherent in their current design and leverage earth-friendly, sound control technology. We greatly appreciated the opportunity to demonstrate the efficacy of Audimute’s solutions. 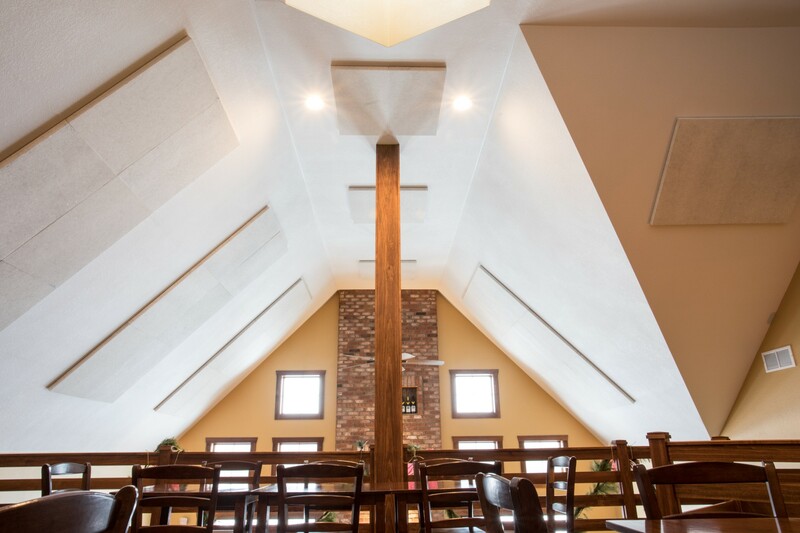 To see how we can help your acoustic problems, please contact one of our Acoustic Specialists today!